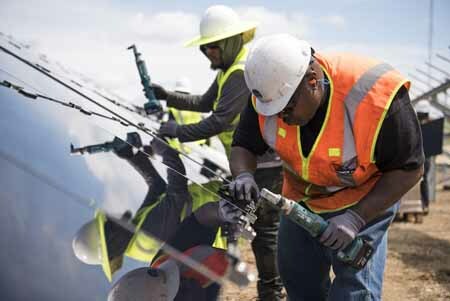 America now has over 242,000 solar workers, and Arizona has about 7,524 of these jobs, according to the National Solar Jobs Census 2018. These jobs are providing clean, affordable, renewable energy in all 50 states. In 2017 the Jobs Census reported 8,381 Arizona Solar Jobs, making for a 10% decrease. Several factors are at play, the most important of which appears to be the policies of Arizona electric utilities regarding credits for any excess energy and reducing buyback rates. This has lowered the potential savings of having your own photovoltaic (PV) system. See our article Arizona Electric Utility Information. The situation is not expected to improve soon due to Federal actions such as the tariffs on some imported PV modules and the coming reduction in the Federal Investment Tax Credit rates starting in 2020. Those desiring to purchase a PV system should consider doing it now. APS customers need to be mindful of the August 31st application deadlines to lock in buyback rates for 20 years.